Safety First! 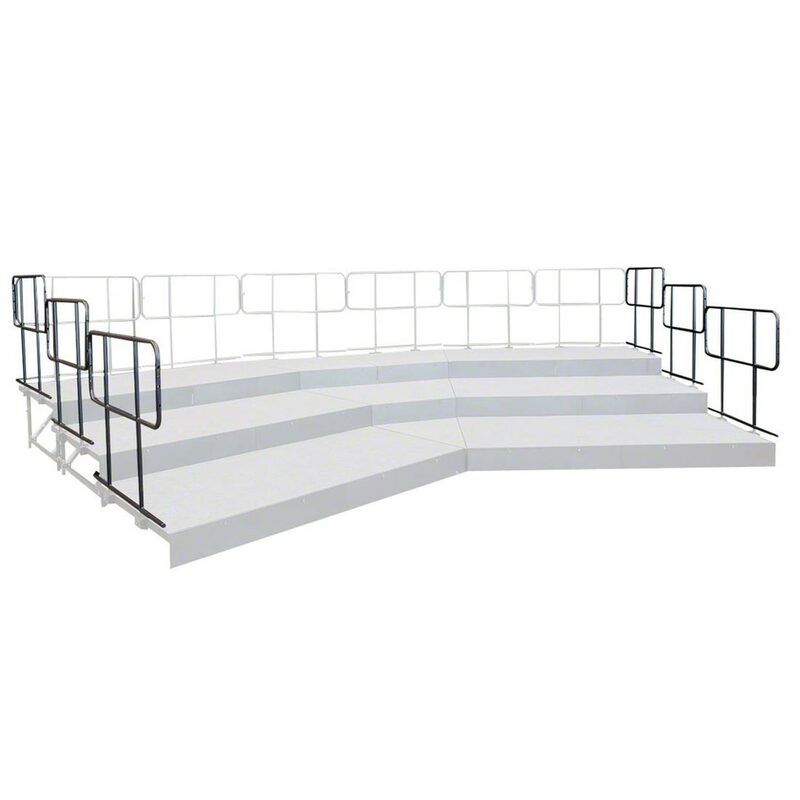 Keep performers safe and secure on your National Public Seating stage with the GRS48 guard rail! This 48-inch wide guard rail is designed to border National Public stages. Built with 14-gauge steel tubing, this black-frame finish guardrail will clamp securely to the stage at any point. Please Note: Guardrails are recommended while using any stages or risers to ensure safety. Safety First! 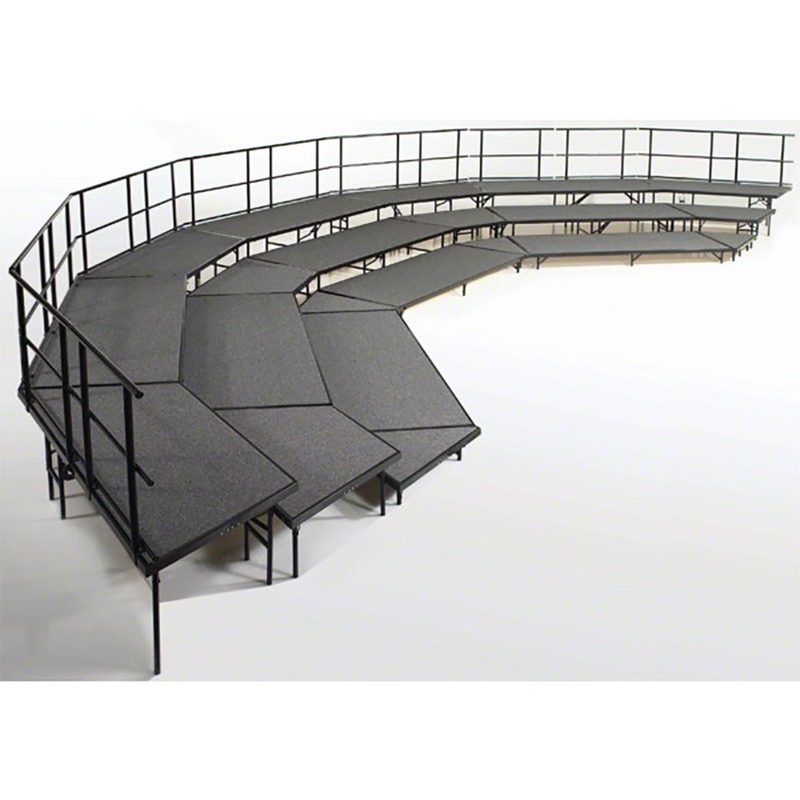 Keep performers safe and secure on your stages with this National Public Seating GRS36 guard rail! This 36-inch wide guard rail is designed to border National Public stages. Built with 14-gauge steel tubing, this black-frame finish guardrail will clamp securely to the stage at any point. Please Note: Guardrails are recommended while using any stages or risers to ensure safety. To use chairs safely on National Public Seating stages that do not have guard rails, we suggest ordering these chair stops. Steel chair stops keep chairs from slipping off the edge, preventing dangerous injuries. This 28" Chair Guard is sized for use on the SP368C or SP368HB Stage Pie Unit. 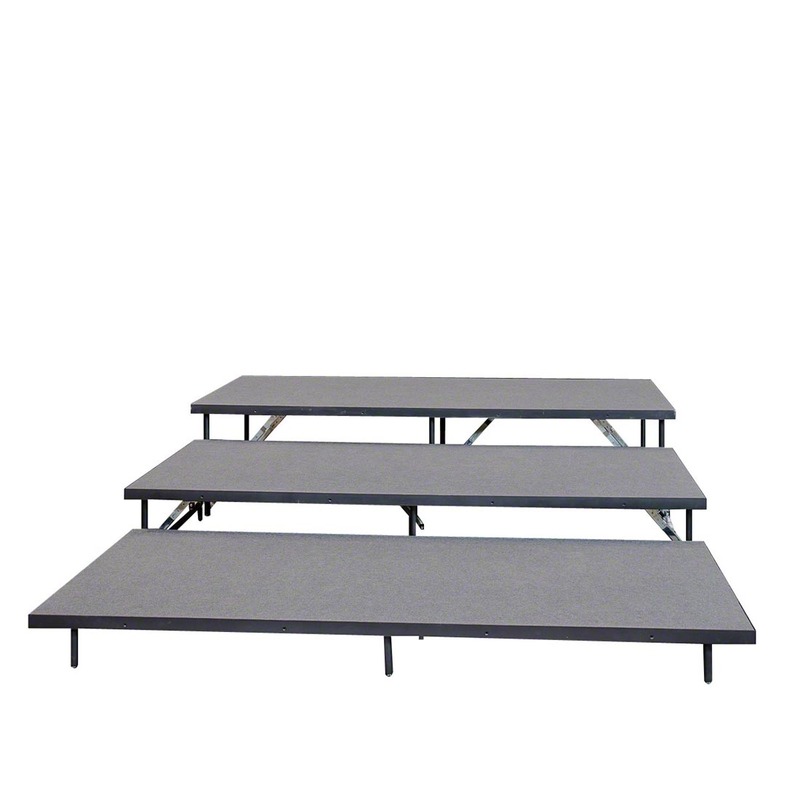 To use chairs safely on National Public Seating stages that do not have guard rails, we suggest ordering these chair stops. Steel chair stops keep chairs from slipping off the edge, preventing dangerous injuries. This 37" Chair Guard is sized for use on the SP488 Stage Pie unit. To use chairs safely on National Public Seating stages that do not have guard rails, we suggest ordering these chair stops. Steel chair stops keep chairs from slipping off the edge, preventing dangerous injuries.This 72" Chair Guard is sized for use on SP4816 Stage Pie units (SP4816C, SP4816HB). To use chairs safely on National Public Seating stages that do not have guard rails, we suggest ordering these chair stops. Steel chair stops keep chairs from slipping off the edge, preventing dangerous injuries. This 81" Chair Guard is sized for use on SP3624 stages pieces (SP3624C, SP3624HB).